Do you want to feel the history come alive? 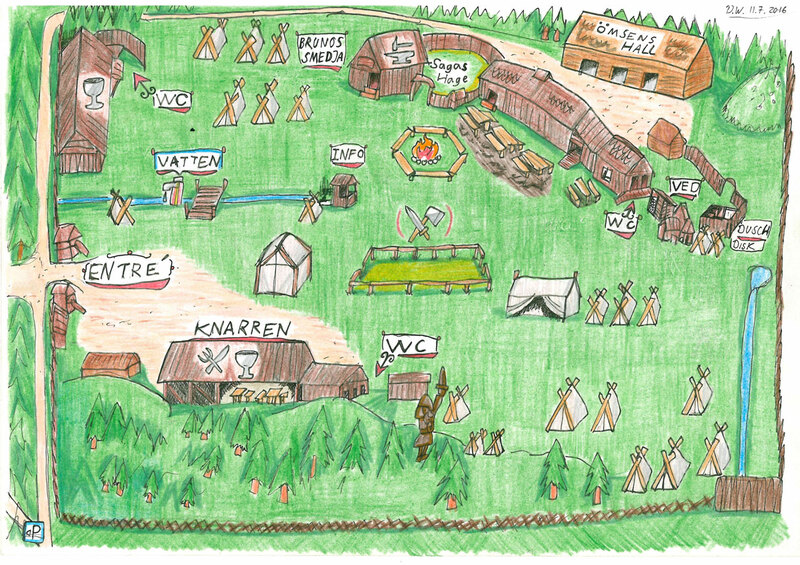 Come and experience the life as a Viking in the evening in Kvarnbo on Friday 28 July. Food and beverage. You can choose either meat or fish to eat and you get a beverage (beer/wine/cider/soft drink), coffee/tea and our famous viking pancakes as dessert. Entrance to the Viking Market. The merchants have their stalls open until 20.00. which gives you time to walk around and see what they have to offer. We have several new merchants this year. Bus Mariehamn-Viking village and back to Mariehamn. The bus starts at 18.00 from the bus station in Mariehamn (next to the city library) and makes a stop in Godby on the way to the Viking village. The bus returns at 01.00 from the Viking village via Godby back to the bus station in Mariehamn. Entertainment with a spectacular fire show when the night falls, as well as Viking age music to set a genuine mood to your evening. The bar in restaurant Knarren and the Boathouse are open all night. Limited amount of tickets, so buy your ticket already today at visitaland.com! Tickets are available until Wednesday 26.7. A reminder to all merchants, craftsmen and women and vikings. Please send in the final application form before 20 June if you haven’t already sent it, in order for us to know that you are coming. If you have informed us that you will let us know later whether you want to participate in the Welcoming feast or order breakfast, this is the time to get this on the form as well. 1,5 months to the market! Muistutus markkinoille tuleville myyjille ja viikingeille: Lähettäkää ystävällisesti lopullinen ilmoittautuminen viimeistään 20.6., jos ette ole lähettäneet sitä vielä, jotta tiedämme että olette tulossa. Muistakaa myös ilmoittautuminen Tervetuliaispitoihin jos haluatte osallistua, sekä aamiaistilaus, jos haluatte tilata aamiaista. 1,5 kuukautta markkinoihin! Information from Viking Line: Some vehicle combinations are already starting to become fully booked during the market week. Remember to get the ferry booked in time, so you don’t end up on the shore. Merchants and vikings: Remember to fill in and send the final application form, that you have recived a link to, and state clearly which ferry company you wish to travel with if you want/need Fibula to book the ferry for you. If you haven’t received an answer from Fibula on the first inquiry form or e-mail, please send a reminder to aland-vikingar[at]aland.net and we will check it and get back to you. Tietoa Viking Linelta: Osa ajoneuvoyhdistelmistä ovat kohta täyteenvarattuja markkinaviikolla. Muistakaa siis saada laivavarauksenne tehtyä hyvissä ajoin. Myyjät ja viikingit: Muistakaa täyttää ja lähettää lopullinen ilmoittautumislomake, jonka linkin olette saaneet, ja ilmoittakaa huolellisesti millä laivayhtiöllä haluatte matkustaa, jos haluatte/tarvitsette että Fibula varaa laivamatkanne. Jos ette ole saaneet Fibulalta vastausta ensimmäiseen lomakkeeseen tai sähköpostiin, lähettäkää muistutus osoitteeseen aland-vikingar[at]aland.net niin tarkistamme asian ja palaamme. 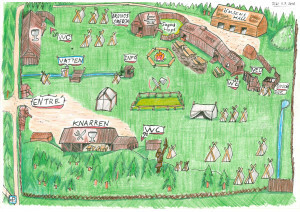 A map of the Viking village. Click on image to enlarge. Information for all merchants and vikings on their way to the market. There is still space on the market area, so the booking deadline is extended a bit from 20th June forward. Bookings are made directly to Erik via e-mail aland-vikingar(at)aland.net. We will update the information here when the area is full and we have closed the booking. The ferries are also starting to get full already. Some of the departures are already full and cannot take any more vehicles. Please remember to sort out your booking on the ferry as soon as possible in order to get a place on the ferry you want!